The dinghy instructor course takes experienced sailors through the basic skills, knowledge and teaching techniques required to instruct, coach and develop sailors of all levels of ability. 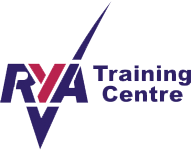 There will be a maximum of six students and the course costs £295 and includes all relevant handbooks and logbooks from the RYA National and Youth Sailing Schemes. A pre-entry assessment is required to confirm that you have the sailing ability and background knowledge required to become an instructor. You will be asked to sail a triangular course efficiently and must also successfully complete a variety of sailing manoeuvres. This is one of a number of qualifying criteria that should be met before your dinghy instructor course starts.